This Logical Reasoning Puzzle is to test you brain IQ. This is hard logical puzzle which can be solved only by genius people. 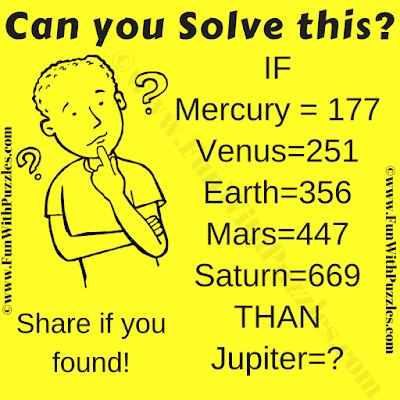 99% people will not be able to solve this logical puzzle correctly. Only 1% of the people will be able to correctly answer this logical puzzle. 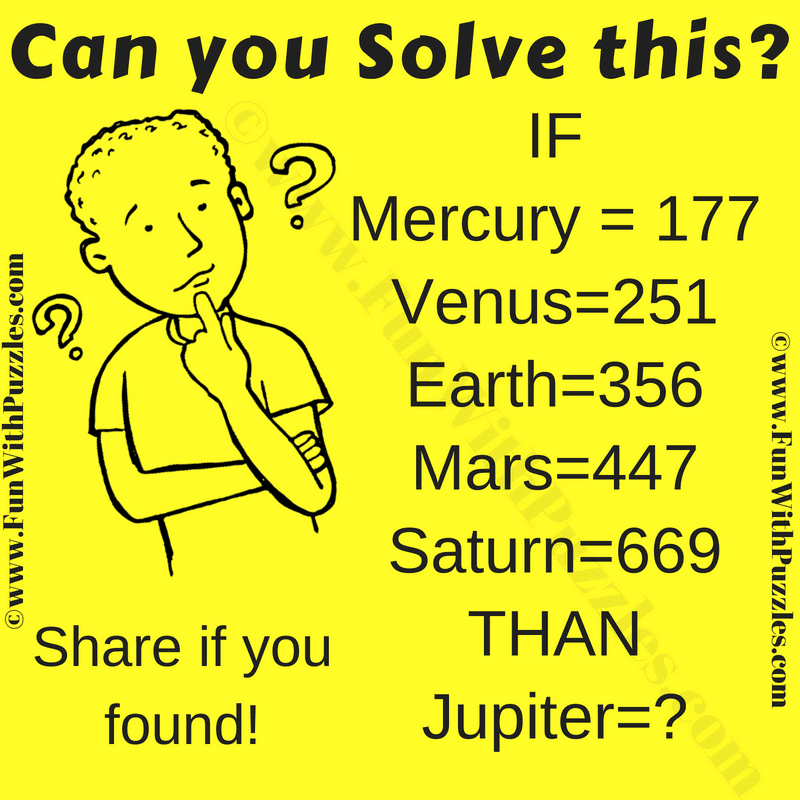 Let's see if you can solve this brain testing logical reasoning puzzle? Can you solve this Brain Testing Logical Reasoning Puzzle? Answer of this "Brain Testing Logical Reasoning Puzzle", can be viewed by clicking on answer button. Please do give your best try before looking at the answer. To get the middle digit, multiply first and third digit and add the digits of this result obtained.